From the picture it appears the y-axis looks fine and that you lost steps in the x-axis. The first thing I would do is check the set screws on your x-axis pulley. I would be willing to bet one of those has loosened significantly or has completely fallen out. I was actually wondering whether or not he had the current issue steppers. The pulleys are pressed on these. @ChristopherLathan That’s a good call, I forget about some of the changes with the newer model as I have an old one. @Daniel7 Which version of pulleys do you have on your machine? 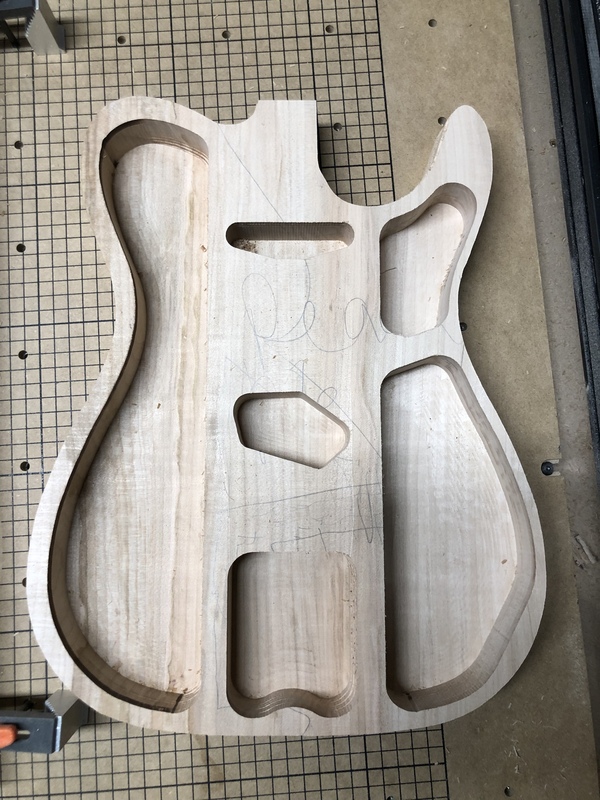 Oh sweet thanks for the help, I ended up cutting a couple Strat body’s but then once again I try and do the hollow body template I got off this forum then it stepped again for some reason is there sonegubg wrong with hat template? Thanks for the info, I tightened up all the belts and I cut a bunch of Strat style bodies and it went great then I tried cutting out the hollow body template I got from this forum and it stepped out again. Just confesed why one cut out was perfect then the next one didn’t work. Yeah, the neck pocket area is way too narrow. Can you share the project? I’m sure my original may be what you started with. 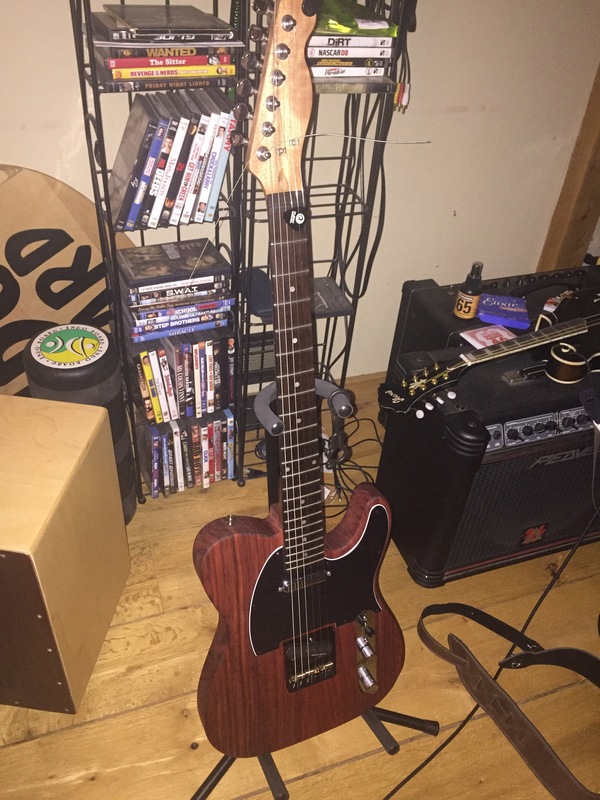 Does anyone have a strat model that has the roundovers and the carved out parts ? FatKatOne is this what you are looking for? 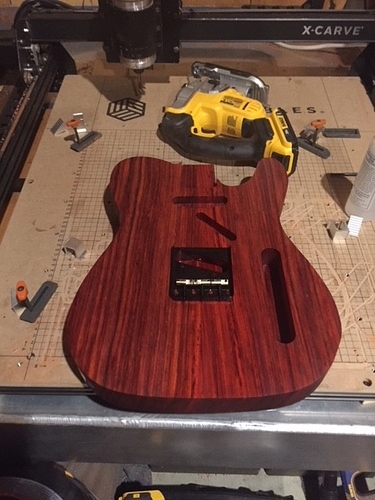 I never cut this one yet, body looks perfect, not sure if the neck fits well. Hi, I’m not sure that’s a body or a template, but I think the cutaway and the neck cavity area look way off compared to a tele body. I’d make those side walls a bit thicker too on the treble side, especially in areas of short grain. One good shot and that’ll break. There are plenty of good drawings in the linked German website. Yeah, his machine is acting up, losing steps in the c axis. What kind of wood did you use for this Tele? Fooling around with Easel…Can someone check this out and let me know if this looks like it will work out.